For Windows 10, click Start > VZAccess Manager. 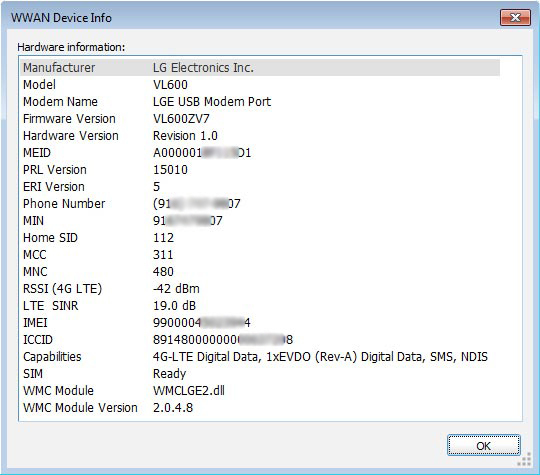 From the top menu, click Help then click WWAN Device Info or About VZAccess Manager. If not available, navigate: Menu > Help > WWAN Device Info. Review the following device info. Depending upon device type, the info below may vary. The ICCID is the SIM card ID.